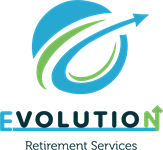 Adam founded Evolution Retirement Services Inc after ten years in the Financial Services and Insurance Industry. He always had a dream of being able to provide any type of service that a client could possibly require in retirement. Whether it is questions about finances, estate planning, medical insurance, life insurance, long term care, medicare supplements, taxes, or anything else effecting retirement. Adam realized that this is the evolution of the industry. A place where all questions can be answered, all clients can be educated and paired with the right team member to provide the highest level of service. A place where even if he wasn’t being paid, the right recommendation was made for the client, in a true Fiduciary manner. Evolution is much more than selling a product, or capturing an asset. Evolution is about doing the right thing for you, regardless of the compensation. Adam grew up in Niagara Falls, NY, and eventually found his way down to Florida in 2006. He gained valuable life experience along the way. He played three sports in High School, with many all county selections. He was also the editor of the school newspaper, and the president of the Drama Club after discovering a love of the Performing Arts. 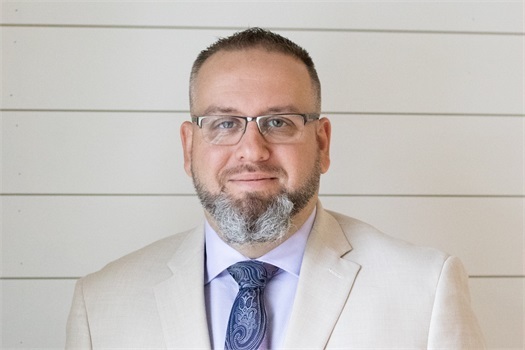 He received a scholarship for Theater to Niagara University and spent summers performing in a Wild West Stunt Show at Martin’s Fantasy Island, while also working full time as a Dealer at the Seneca Niagara Casino in Downtown Niagara Falls. His life changed for the better after his Son Austin was born in 2003, followed by his Daughter Mia in 2005. After graduating with a BFA in Theater and English Literature, he completed a Masters of Secondary Education in just under 1 year, all while working full time to take care of his family. He spent three years teaching in Lee County after being recruited by the Lee County School District in Buffalo, New York. He enjoyed coaching football, girls basketball, and directing different shows. He realized he needed to find a different career after he found himself a single full time Dad, and became a Licensed Insurance Agent. He found success with many of the biggest companies in North America, including MetLife, Gerber, Mutual of Omaha, and many more. He has won numerous awards with these companies, but most importantly he has helped thousands and thousands of clients find appropriate coverage. After 4 years in the Insurance Industry he joined an established local firm as a Financial Professional. He spent 3 years learning about the world of Financial Planning, picking up over 100 new clients, and working with each to create an individualized plan that focused on all areas of their retirement. After 3 years he realized it was time to branch off on his own. He knew that after teaching other Advisors across the country different strategies to help their clients, and three years of Elite Advisor status with multiple companies, it was time for him to put his own system in place. Adam is very active in the community. He is currently the Chairman of the Board of Directors of the Arts Foundation at North Fort Myers Academy of the Arts. The Foundation is responsible for funding most of the Arts programs at the school. He is heavily involved with his children and their activities. He loves working with new clients and meeting new people, but the most important job he has is being a father.